News reports during the first five months of 2017 beat the doom and gloom drum for bricks-and-mortar stores in the US. Retail chain bankruptcies make for big news, especially when iconic businesses like Sports Authority, The Limited and Gander Mountain go bust. Add to that the closures of numerous locations for mega-stores such as Sears, J.C. Penney, and Macy’s and there’s no doubt the complex retail landscape is changing. But it’s not all doom and gloom. Even the US government spikes the ball for e-commerce. According to the US Census Bureau, first quarter 2017 e-commerce estimates increased 14.7% from the same quarter 2016, and accounted for 8.5% of total sales. Online sales are rising in Canada as well, with online shoppers making weekly ecommerce purchases in 2016. That’s great news for the online retail landscape. Even so, the world of online retail is complex and sometimes perplexing as technologies change and the way shoppers shop changes right along with them. Let’s take a look at some of those transformations and how to persist. M-commerce has been picking up steam since 2011, when Bizrate began reporting on the numbers of online buyers using mobile phones to access online retail websites. And that was before smartphones were ubiquitous throughout North America. At the same time, they noted that customers who shop from their phones post items they like to Facebook and other social media sites. This led to the convergence of mobile, social, and shopping among customers — especially those from GenerationY and GenerationX. Do you know how your ecommerce customers shop? Is the experience the same from a mobile device (smartphone or tablet) as it is from a desktop computer or a laptop — and over the telephone? Have you tested the online shopping experience you offer? Even if some of your competition comes from brick-and-mortar stores, research shows that many shoppers search for products online to find what they want to buy before going to a store. In one survey, 76% of respondents say they do so “always” or “frequently” making that also part of today’s online retail landscape. Why not take advantage of the opportunity to convert browsers to buyers on your ecommerce site? “You absolutely have to reduce the friction points that keep (shoppers) from hitting the buy button,” says Scott Macon, president of Bizrate Insights. What does he mean by that? Some elements to consider are generic (but important) to all e-commerce sites. Others relate to the payment card entry and acceptance process employed once a user clicks “Add to Cart” or “Buy Now” (fairly standard terms used in the online retail landscape). Of course you need to ensure your website payment process includes strong ecommerce fraud prevention essentials. For websites in the online retail landscape, they’re considered hygiene factors. Note the prominent display of the types of payment cards accepted in the examples, and that establishing an account is optional before checkout. Why make your customer do more work than necessary when all they want to do is to give you money? Yes, the online retail landscape is complex, competitive and sometimes confusing. 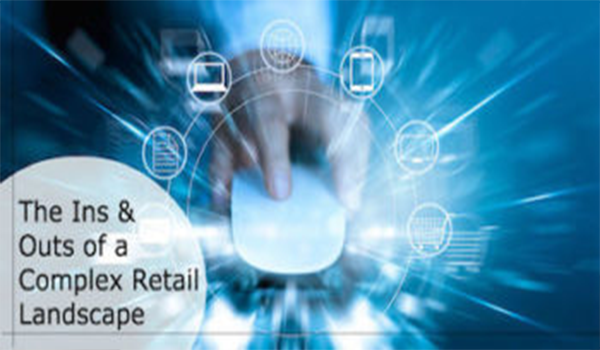 That’s why you should choose a payments processing partner who specializes in the ecommerce space and who also understands the retail industry. There are many innovative payment solutions available in the market. You’ll want to choose one that helps you to provide the best customer service by supplying multiple payment options. So you can deliver the ideal personalized, integrated, seamless experience customers demand in the online retail landscape. Deliver a purchasing experience that’s convenient — for your customers and for your business. Choose a payments processing partner with a stellar reputation who wants to help you grow your business profitably and achieve your online retail goals and dreams.